Three key points to make when debating the existence of God. First, in asking: Does God exist? It would be good to get some clarity about which God we are talking about. 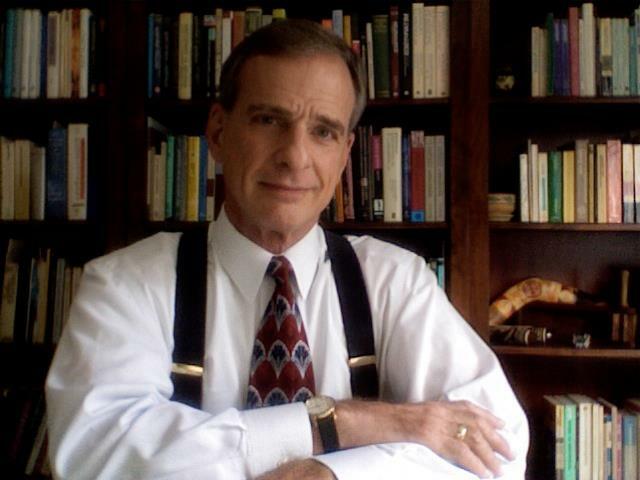 Prof William Lane Craig defines God as a 'maximally great being' - which he says requires that God be morally perfect. Prof Richard Swinburne similarly characterises God as 'a person who is omnipotent, omniscient, and perfectly good'. It suffices to establish atheism, then (given these guys' characterisations/definitions of theism), that I show beyond reasonable doubt that there's no being that is omniscient, omnipotent and perfectly good. If God is not good, then there is, obviously, no problem of evil. Yet almost all monotheists treat the problem of evil as a significant problem. So it's clear most monotheists require that God be good. They are not positing a morally neutral god, say. Indeed they would be very much opposed to characterising their God in such terms. Suppose at the end of the debate it's suggested that I have not shown God does not exist because I have not refuted every variety of god hypothesis - I haven't ruled out Zeus, or Odin, or the Manachean gods. Nor have I ruled out an all-powerful but morally indifferent God, or a morally perfect but less than omnipotent God. In response to that, I'll point out: for pretty much everyone in the room, the existence of these other gods is simply not issue. Those in this room who who say they believe in God and indeed worship God do not believe in the existence of an omnipotent but morally indifferent being. They, like me, are atheists when it comes to a God like that. So let's keep the focus on their God. If I can succeed in establishing beyond reasonable doubt that their God - an omnipotent, omniscient, perfectly good god; a god actually worthy of our worship - does not exist, I'll rightly consider that a win. Secondly, I want to make a simple logical point sometimes overlooked in these debates. Often, those arguing for the existence of God offer a number of arguments. For example, they may offer first a cosmological argument for there being a first cause and necessary being, second a teleological argument for there being a designing intelligence, third an argument for this being being a person, fourth an argument for this being being morally perfect, and so on. But now notice that all but one of these arguments could be sound and yet still the case for their God might more or less entirely collapse. Let's suppose they do have a sound cosmological argument for a first cause, a necessary being. Let's suppose they do have a good argument for there being a designing intelligence. Still, it will suffice to refute their case for their God if I can show that they have no good case for supposing that this necessary being, designing intelligence, and so on, is also perfectly good. For if I can show that, then there still remain all sorts of gods on the table of which theirs is just one candidate. They've given us no reason yet to prefer their candidate over any of these various other candidate gods, such as morally indifferent God, say, or an evil God. But then their case fails. The truth is you will have got nowhere near establishing the existence of your God. The situation is akin to claiming that because the police have shown that the murderer lives in this village, so they're close to showing that Bert, who lives in the village, is guilty. Actually, they're clearly nowhere near showing that. And if there's good evidence Bert didn't do it (he's got a good alibi, let's suppose) - well then the police case against him is utterly demolished! The theist's claim that they're at least near to showing God exists above is equally ludicrous, and only fails to seem so in their eyes because they mentally airbrush out all the other candidates (like a policeman mentally airbrushing out everyone else in the village but Bert in order to convince himself the case for/against Bert's guilt is balanced). As a theist, when I define God to a skeptic, I prefer to use concepts from "Minimal Theism" rather than "Classical Theism." I don't need to prove that God is good or maximally great. Rather, God is the personal agent responsible for the Big Bang or ultimate beginning of the universe. If the universe/multiverse has an ultimate beginning (and cosmology - including BGV theorem - clearly indicates this is highly likely), then it must have a Beginner - a immaterial, personal agent who is responsible for the creation event. Then the next question is: Which God is responsible for Creation? And that's where the spiritual journey truly begins. If the universe requires something to create it, so does a god. If a god does not require something to have created *it*, neither does the universe. You cannot have a requirement for the universe that you don't also have to levy against any god conjecture - *if* you are being intellectually honest. Arrant nonsense. God as personal agent simply leads to infinite regress; who created this personal agent responsible for the Big Bang? Also, several modern physics theories postulate creation ex nihilo. Ron, how do you know this? How can you actually verify or test your assertion? Your god then is just a label, a random name, void of meaning, you chose for the unknown forces respnsible for the origin of our universe. I wouldn't agree with that assertion. This is highlighting the difference between a naturalistic view, where one says that everything in the universe just is, and a theists view, where something exists outside what is observed. God would, bu his very existence and dare I say greatness, is not subject to natural laws any more than I am subjected to the laws of something I create. appears not to be on the internet? I'd prefer to remain connected after I die. Oh, "you are in God's house for eternity". Whence comes God's desire to create? Can desires be controlled? One can by an act of will choose not to follow one's desire, but one has no control over what one desires? Does God have any choice in what He desires? Wait what ? Natural law and law are different. No matter what you create with it's own laws, it can't violate the natural laws. So yes wathever you create with it's own laws, your not subjected to it's laws but you and the thing you create are subjected to the natural laws. The same goes for God. With regard to the Problem of Evil, I think epistemology pays insufficient attention to the possible role of self-deception (a less misleading term would be 'selective attention'). We assume that knowledge is largely a result of interaction between the 'mind' and the 'external world', where the former begins as an empty vessel and gradually fills up with 'facts' from the latter. However, if we bring self-deception in as a variable, it is possible to turn the picture around, so that the mind begins with knowledge, but then prefers to believe itself to be ignorant. In such a paradigm, evil is the price that we willingly and voluntarily pay in order to pretend that we don't know what we know. Why is mathematics so successful in explaining the world? Why do the laws of thought and the laws of physics seem so congruent? The second problem is a related one, namely that scientific discoveries often occur as a result of 'inspiration', when the mind grasps the hidden principles that explain observed phenomena. How the mind does this is a mystery, but it is less of a mystery if we assume the knowledge was there all along (at least of basic principles). The third problem has to do with ethics. Traditionally, we tend to assume that 'the right thing to do' has a very different sense in 'moral' as opposed to 'non-moral' contexts (e.g. deciding to have an abortion vs deciding whether to change a spark plug, respectively). One reason for this assumption is that claiming ignorance of the right thing to do seems somehow illegitimate in a 'moral' context, as if no such 'moral' ignorance is possible (apart from the usual exceptions of lunacy, infancy, etc). Yet, philosophers have struggled to clarify the distinction between 'moral' and 'non-moral' contexts. Perhaps because they wrongly assume that knowledge of 'moral' principles has to be explained in terms of 'non-moral' knowledge, which begins with a tabula rasa? How can we be blamed for not knowing what we don't know? But on the reversed model, the impossibility of ignorance applies to all knowledge (at least of basic ontological principles). The category of 'moral' knowledge would then be an arbitrary one, shaped by motives of self-deception. Seems like most people here have a concept of what they mean when they use the word 'God'. As a Quaker I have no longer any concept but I do have a deep inner experience of, what PL Travers referred to as Something else. It has the tender character of peace, love and joy which feels like a presence though not a person. It is palpable yet in no way emotional or ecstatic. It can be realized by anyone who can be open enough and silent enough for long enough. That's the greatest difficulty - getting our egos out of the way. Otherwise, it's the simplest of practces. No beliefs needed. Just practise silence and notice what happens. I don't feel a need to put a label on it though some call it God. All intellectual dicussion about the existence of whatever we think of as divine now seem irrelevent. We can't think our way to this kind of understanding.
" ... but it is less of a mystery if we assume the knowledge was there all along". Really? And how did you come up with all the words, and the ideas that they carry, to post here? You had the knowledge these ideas all along? You are exceptional! "...Really? And how did you come up with all the words, and the ideas that they carry, to post here? You had the knowledge these ideas all along? You are exceptional!" Quote: "These clusters contain an estimated fifty neurons, on average. The scientists look at them as essential building blocks, which contain in themselves a kind of fundamental, innate knowledge – for example, representations of certain simple workings of the physical world. Acquired knowledge, such as memory, would involve combining these elementary building blocks at a higher level of the system. “This could explain why we all share similar perceptions of physical reality, while our memories reflect our individual experience”, explains Markram."